My daughter Verity had some very concerning and scary blood tests and she was transferred to OHSU the night of August 23rd and there was shortly diagnosed with leukemia. We have started to prepare for the onslaught of bills, while also trying to keep our finances stable, as Verity and Atina (her mother) have to stay close to the hospital for this first month. We live and David works four hours away from Doernbecher Children’s Hospital where Verity is being treated. The average cost of care is scary high, and on top of that, there are a slough of “hidden costs”, no one can be prepared for this nightmare. Thank you in advance for your prayers and financial support. There have been a number of people who have expressed interest in helping outside of here. If that is you please contact David via text or call @ ‭(541) 404-9528‬ or myself via text or call @ (541) 404-7096 for how you can do that. Also know there are other ways to help besides financially, once we are home something as simple as a visit, running an errand or picking something up for us is huge! Verity’s 3rd Birthday was a huge success and so so fun! This is a huge deal as, with any potentially deadly illness, birthdays mean another year alive, another year to learn and grow! 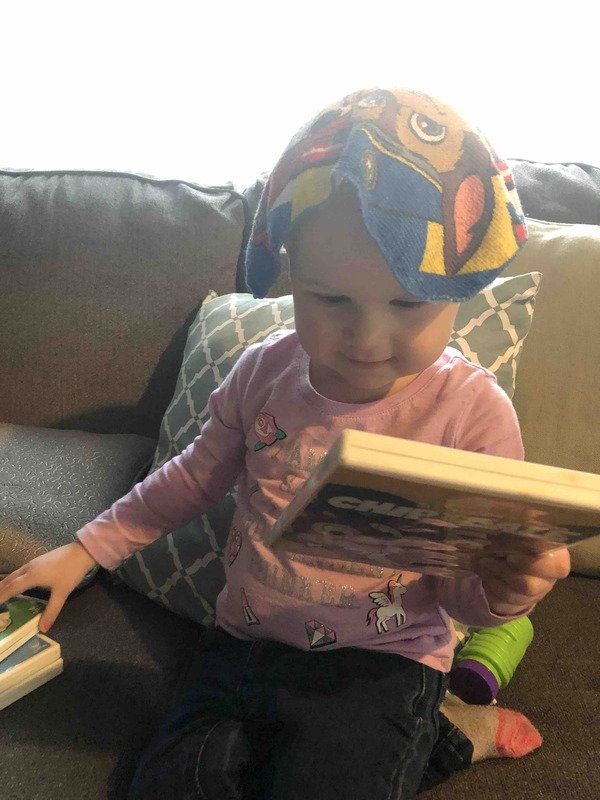 Verity also had her regular yearly check up with her pediatrician where we found out she will need to see an eye doctor to address a possible issue and will also have to start up physical therapy again to continue working on her lingering mobility issues. As of right now we only have one car and no access to a second one as we had before. Because of this our trusty little van needs more routine maintenance to keep it running in tip top shape, and we will once again have physical therapy bills on top of OHSU bills. 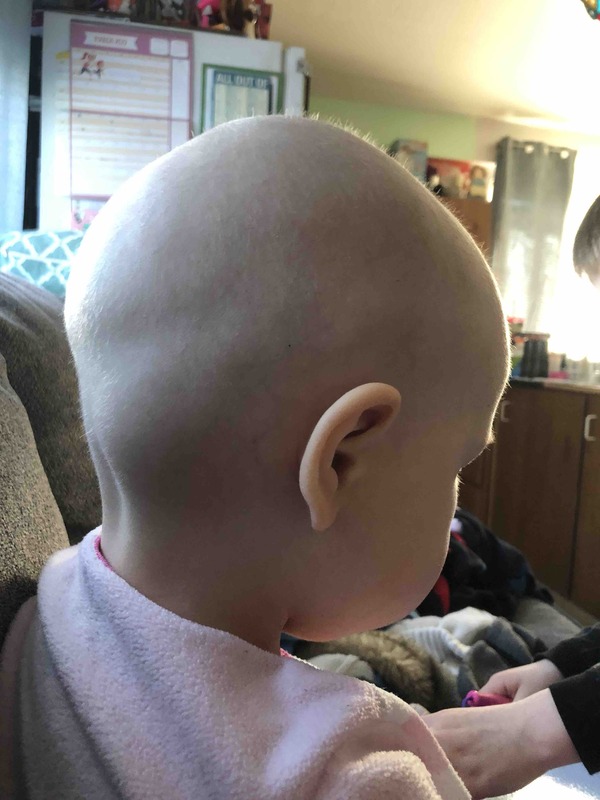 Verity has also had some skin rash issues related to chemo that were greatly aggravated by our usual household cleaners, air fresheners, our deodorants, perfumes/body sprays, lotions, and hand sanitizers. This has prompted us to switch to all natural products, we have chosen to use essential oil products so that I can use them to make most of our personal products like deodorants, body sprays, body wash, laundry soap and lotion to name a few. Verity’s skin has greatly improved and is less irritating to her! We have been able to offset the cost of this by adjusting our lifestyle and cutting out most of the extras we had like Netflix, my monthly yarn box and a couple date nights. While our finances have been very tight and life has been stressful, we are still happy, we still have fun and are we are still hopeful for the future. We are also very excited and are (im)patiently counting down to Verity’s Make-A-Wish trip! Verity has chosen to go to Disneyland at the end of May! 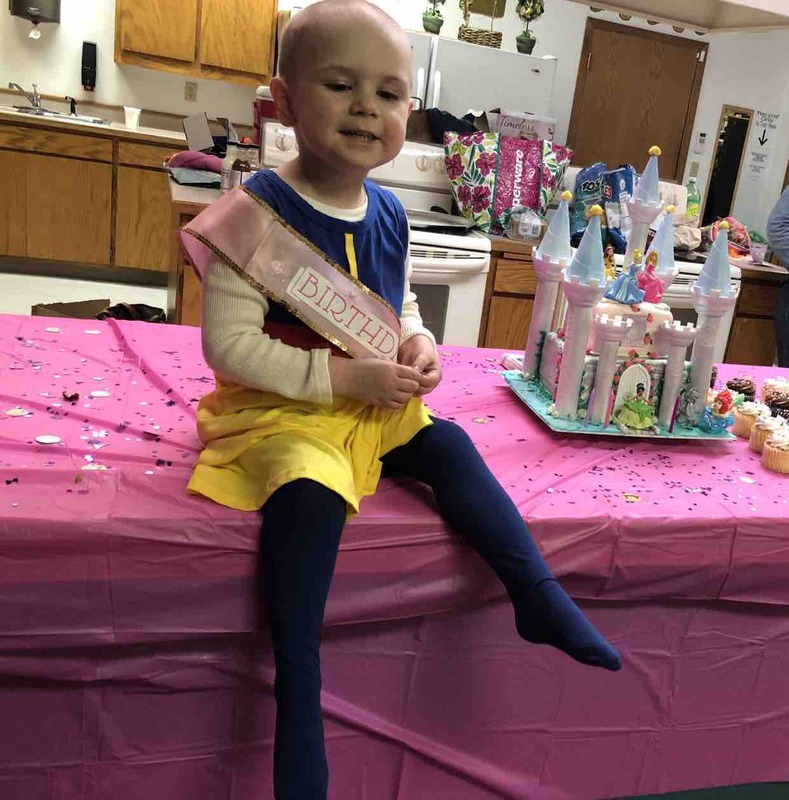 We are very grateful to have this opportunity and are supremely blessed by the people who make wishes happen for children like Verity whose families would not be able to make their child’s wish come true. Well we just squeaked by on counts to be able to have chemo today! 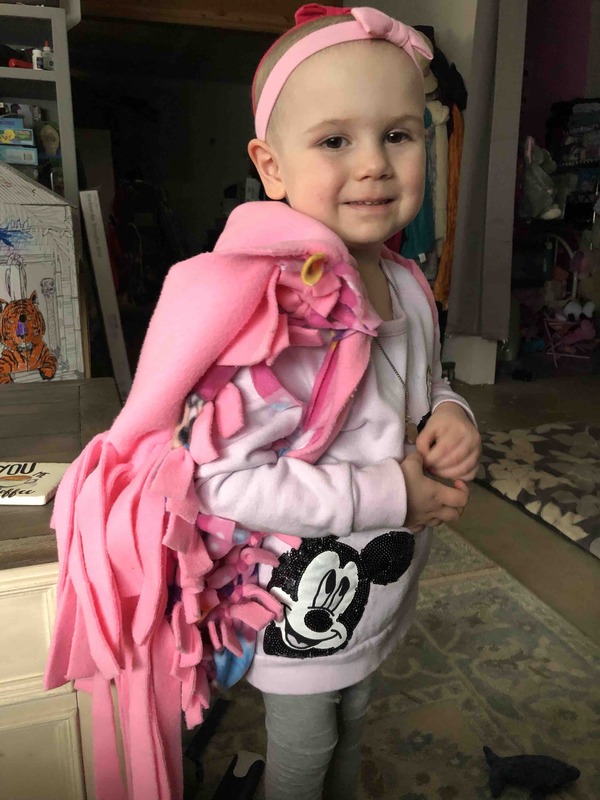 So far we have not had to delay any treatments due to low blood, immunity, or CDC counts, that is huge but also we have been told to plan for a delay in the near future due to an increase in chemo medication. 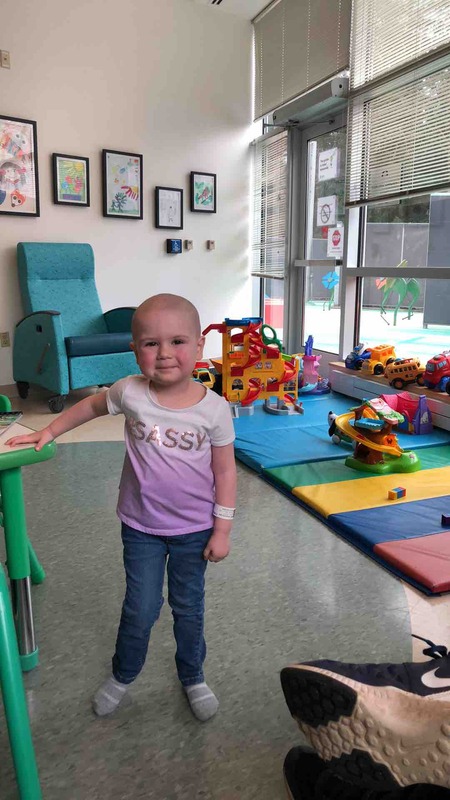 The difficult part of that is going to be having multiple trips up to OHSU to receive the two types of chemo meds separately according to what Verity’s body will allow. This of course makes one treatment cost the same as two due to the cost of gas and food for the multiple trips. As always we will plan accordingly with our current finances and pray that God will ease that burden in some way. Verity’s spirits are as happy and bright as they usually are, she plays like a “normal” child would without really knowing that she is any different from other kids. She is very happy to be growing back some hair and has even started “brushing” the fuzz that has sprouted in her head! She is full of light and life and all things sweet. Verity is chugging along, but only just barely according to her immunity and blood counts. At her last chemo appointment she just squeaked passed counts and could have chemo. The next appointment is supposed to be a lumbar puncture and of course more chemo. 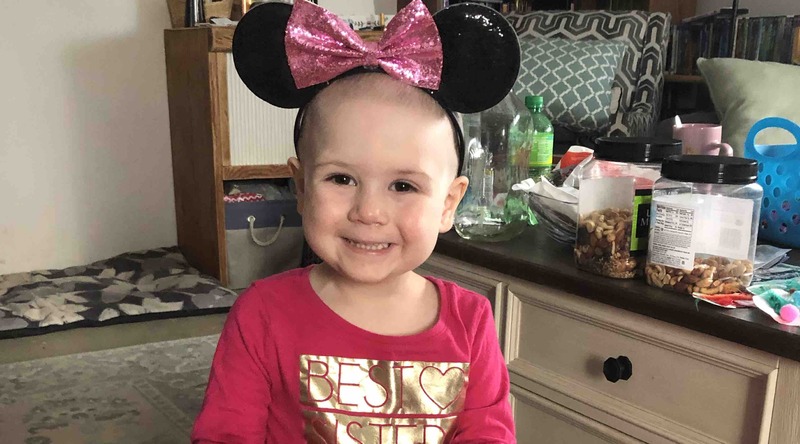 I am concerned that she won’t have high enough counts to have the procedure and chemo which would set her back about a week if we are lucky and could mean hospitalization if we’re not. In any event we are and will be blessed by those who donate to her care as procedures and hospitalizations are very expensive even after insurance. Please keep Verity in your prayers and good thoughts! Folks we have hair!!! Ok it’s more like fuzz but it is there and it is growing! Verity likes to pretend to have hair (see pic of the towel on her head) but the other day we could see and feel real hair! She is so very excited and has already made plans to wear hair clips when her hair is long enough. As I alway say and can’t really say enough is thank you, for your prayers and good thoughts and your support as we struggle through the hardest times we have ever seen. Please continue to do all of this, our need is just as great today as it was on the day she was diagnosed.